Fed up with oily hair? 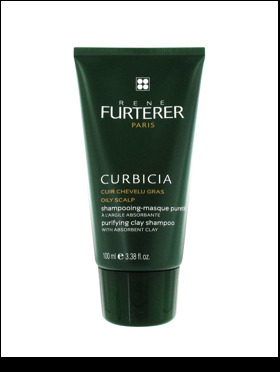 René Furterer has devised a clay mask as a shampoo. Easy to use, it regulates sebum production, provides deep cleansing and anti-fungal benefits. Collection Hair tips: massage your scalp gently, do not to stimulate the sebaceous glands that produce sebum (oil). Rinse with cool water to close the pores (tiny hole where the gland end up). Decrease the frequency of shampooing gradually.